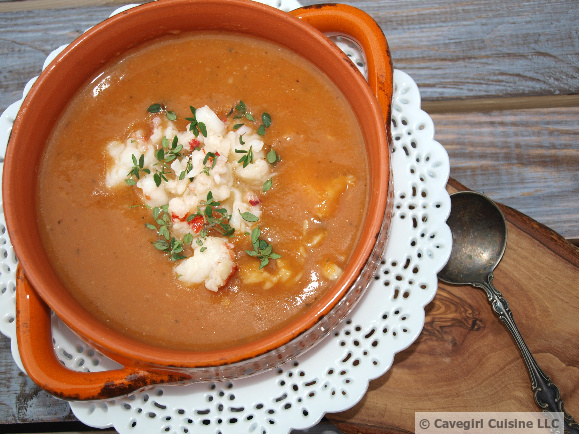 If you like this recipe, you may also enjoy my Scallop Chowder. 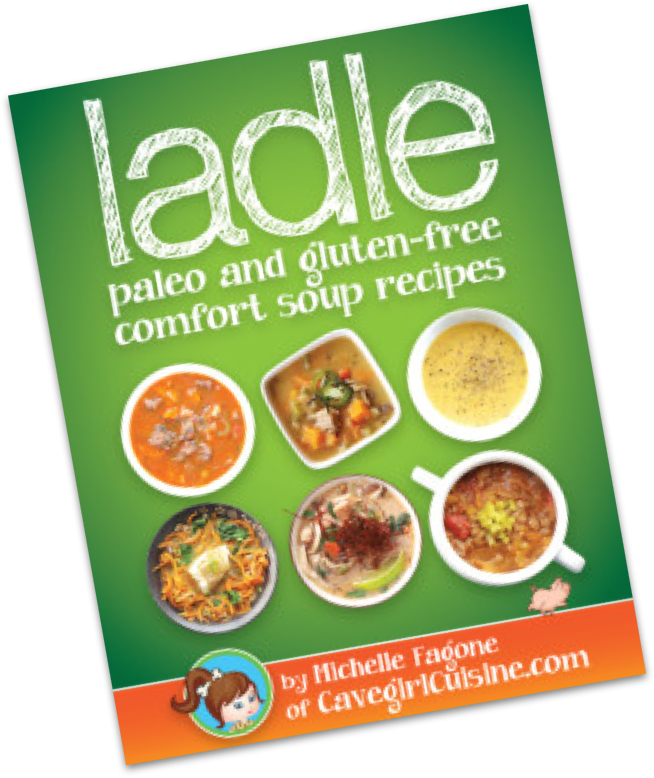 Find this and other recipes in Ladle: paleo and gluten-free comfort soups. Fill a medium saucepan halfway with salted water. Bring to a boil. Carefully drop in lobster tails. Cook for 5 minutes. Remove tails from water. Let cool. Remove meat from shells. Set meat aside and roughly chop. Set large carcass parts/shells aside. 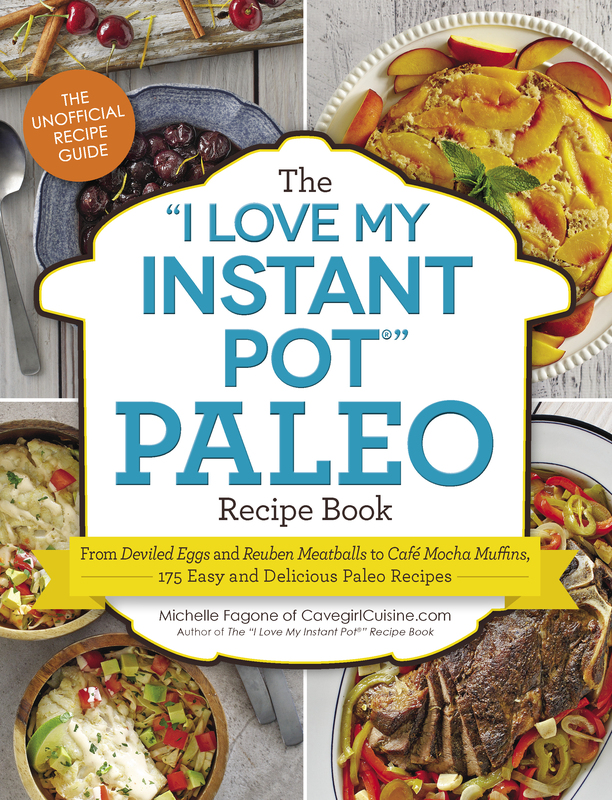 In a heavy-bottomed pot or Dutch oven, place 2 tablespoons of ghee, leeks, carrots, and celery. Heat and cook until leeks are tender. Add broth, water, cauliflower, Herbes de Provence, salt & pepper, bay leaf, garlic cloves, and lobster shells. Bring to a boil. Reduce and simmer covered for 30 minutes. Using a slotted spoon, remove shells and bay leaf. Discard. Using an immersion blender, blend pot ingredients until smooth. (An alternative is to transfer small batches to a stand blender, and blend until smooth). Add approximately 3/4 of the lobster meat back to the pot along with the cooking Sherry and tomato paste. Stir until combined and simmer. In a small pan over medium heat, melt remaining ghee and add remaining lobster. Cook for 2 minutes until the lobster meat is coated. Pour lobster bisque into bowls. Add a portion of the buttered lobster to the center of the bowls and garnish with fresh thyme leaves.